We at Henry's Florist take pride sending you only the freshest flowers. Here is a handy guide to help you in preserving your arrangements and plants so that they look their healthiest for the longest amount of time. With just a little bit of maintenance, they should stay fresh for days to come. As always, if you have any questions about their care, please call us at (800)543-6797 and we'll be glad to help you. 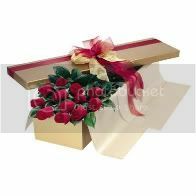 Floral Arrangements: Upon receiving your floral arrangements, check the water level, change or add water daily, keeping the water level near the top of the container. Be sure to include preservatives as directed on the package. Fresh Cut Flowers and Boxed Roses: As soon as you receive them, add floral-food (provided) to a clean vase. Remove the leaves from the lower stem of each flower. Cut each stem at an angle, under running water, with a sharp knife so that the flower can "drink". Refill water daily or as needed. So Remember: Keep your fresh flowers away from drafts, heat, cold and direct sunlight and avoid over watering. Henry's Florist has the freshest flowers and we guarantee the best quality! With just a minimum of daily up keep your flowers will stay fresh for many days. Enjoy! 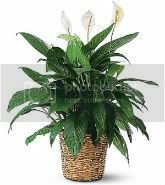 Green Plants: Medium light locations are preferred by most green plants. This means light near a sunny window but protected from direct sun. To determine this, place your hand 1 foot above the area you've chosen as their home. You should get a distinct shadow. Moderately moist soil best; avoid over watering. Always allow a watered plant to drain freely. Never let the pot sit in water. temperatures found in most homes are acceptable, but moderate locations are preferred. ideally, 70 degree days and 50 to 55 degrees at night. 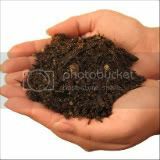 Fertilizer: If plants are kept for extended periods of time, use a house plant fertilizer at the manufacturer's rate and frequency.